The Cabinet this week gave approval to prepare the 2019 National Budget under the medium term fiscal frame work (MTFF) by adopting a Performance-Based Budgeting (PBB) approach, with aims of increasing the Government revenue to 17% of GDP by 2021, Cabinet Co-spokesperson Gayantha Karunathilaka said. 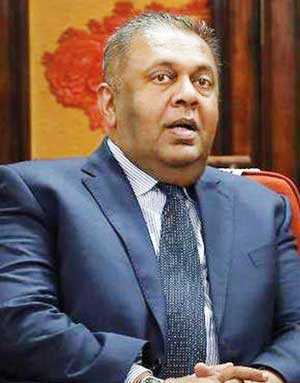 The proposal, made by Finance Minister Mangala Samaraweera, told the Cabinet of Ministers that major economic assumptions for the fiscal year 2019 will include real GDP growth of 5.5%, while inflation is expected to stabilise around mid-single digit level. Further, the Government also plans to limit recurrent expenditure to 15% of GDP, while maintaining Government Public Investment at 5.5% of GDP. This also includes plans to limit the Budget Deficit to 3.5% of GDP, while limiting Government debt to below 70% of GDP. With Rs. 2500 billion Government revenue, out of which Rs. 2000 billion is to be spent on debt-servicing in 2019, there would be limited space for public investment projects, the Minister told Cabinet. The line Ministries will be required to identify priority projects, where resources will be allocated within ceilings. The Cabinet also gave approval to introduce budgetary ceilings to all line Ministries and agencies, based on the available resources, requiring all institutions to prepare their draft budget estimates within the allocated ceiling. Further the General Treasury cash releases will also be linked with the reported commitments and liabilities, requiring Secretaries of Ministries and Department Heads to update their commitments and liabilities regularly to the General Treasury through the Computerised Integrated Government’s Accounting System Program (CIGAS), implemented with the aim of minimising delays incash releases and cash flow management. Outlining concerns over allocations of budgetary provisions for next year,Minister Samaraweera has informed the Cabinet that the level of utilisation of allocated provision for capital expenditure projects is a major concern, while highlighting that one third of potential impact of public investment has been lost during the managementprocess, and only two thirds of expected outcomes delivered. The Minister was quoting a Public Investment Management Assessment (PIMA) undertaken jointly by IMF and the World Bank. Finding limitations with the current method of reallocating funds to District Secretaries, the Minister highlighted that the line Ministries fail to monitor projects to ensure completion during the specified time targets, while also failing to secure funds for projects that spill over to the next fiscal year. Further, the Minister recommended a review of available resources in all line Ministries, as the requirement is less than the existing levels if the work is being carried out by the District Secretaries.